The Arlington County Board will consider dozens of items at its January 2019 Board Meeting. The Regular Meeting will begin at 8:30 a.m. on Saturday, Jan. 26. The Recessed Meeting will begin at 3 p.m. on Tuesday, Jan. 29. The County Board meets in Room 307 on the third floor at the Ellen M. Bozman Government Center, 2100 Clarendon Blvd. All County Board Meetings are open to the public. Visit the County website for information on speaking at a Regular County Board Meeting. Fire Station 8 replacement contract: The Board will consider approving a $1.099 million contract with LeMay Erickson Wilcox Architects for planning, design and constructions services to replace Fire Station 8, at 4885 Lee Highway. The aging, undersized fire station will be rebuilt to meet current requirements for equipment and fire and EMS personnel on the same site where it stands today. To read the staff report for this item, scroll to Item No. 22 on the agenda. 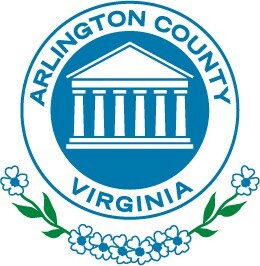 Residential Permit Parking in Arlington Mill and Forest Glen: The Board will hold a public hearing and vote on a resolution to rescind some Residential Permit Parking (RPP) restrictions in the Arlington Mill/Forest Glen neighborhood. The neighborhood is sometimes referred to as Zone 24, the RPP program zone number for that area. The Board’s action comes after more than a year of staff effort to find solutions to neighborhood parking issues. The Board held a listening session with Arlington Mill and Forest Glen residents earlier this month. To read the staff report for this item, scroll to Item No. 32 on the agenda. Bright Horizons child care center— The Board will hold a public hearing on a requested Site Plan Amendment and related Use Permit for Bright Horizons child care center and playground, 4001 Fairfax Drive. The Site Plan request is to convert 5,574 square feet of office space on the first and second floor of an existing Ballston building to a child care center for up to 145 children. A portion of existing outdoor space on the site would be converted to a playground to meet the center’s outdoor play requirements. The outdoor play area will be fenced, with screening trees along the western edge of the playground that faces the adjacent condo building.The center would operate Monday through Friday, 6:30 a.m. to 6:30 p.m. To read the staff report for this item, scroll to Item No. 33 on the agenda. Arlington County Board Chair Christian Dorsey has been elected 2019 Vice Chair of COG.